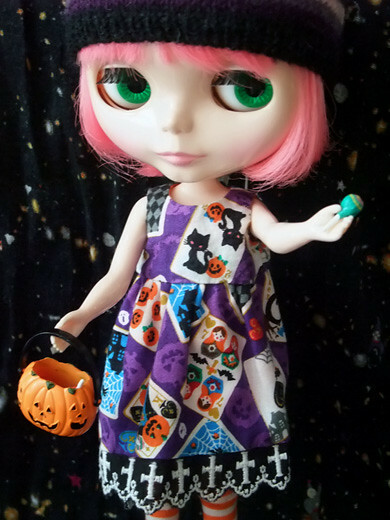 I got a dress from a doll clothes’ artist for my Blythe doll Peony at Doll Show 35. This dress is completely hand-sewn and reversible. 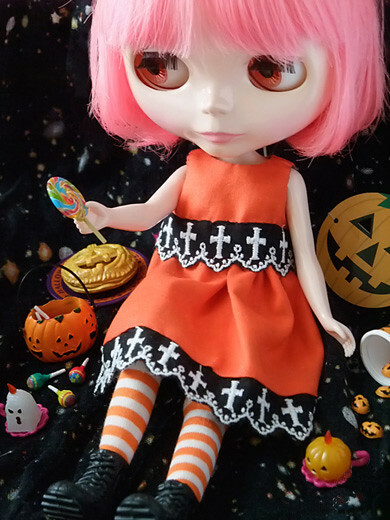 Early Happy Halloween from dolly world!